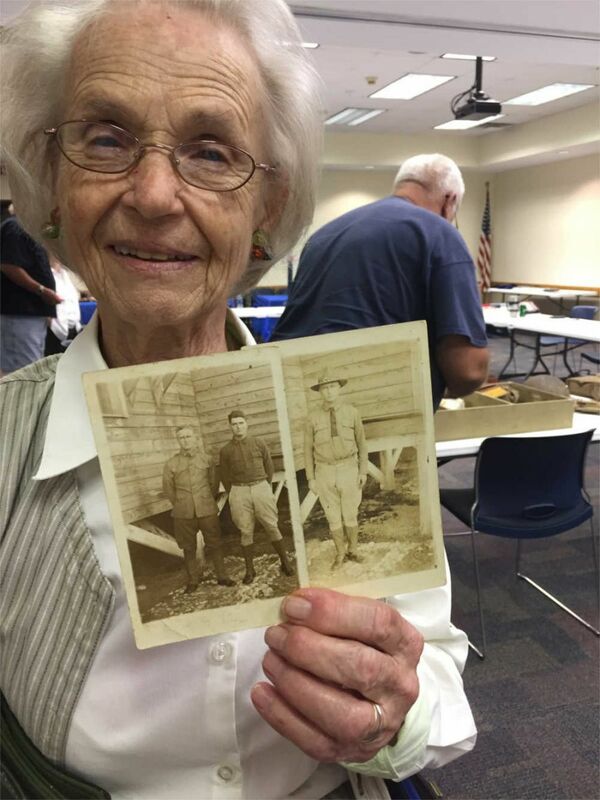 A participant in Auburn University's Dialogues on the Experience of War program shares family pictures. Dialogues on the Experience of War is an NEH-funded initiative. Image courtesy of the Caroline Marshall Draughon Center for the Arts & Humanities. Dialogues on the Experience of War is an NEH program that uses the literature of war to connect veterans with their communities. At Auburn University, Mark Wilson saw the NEH’s call for proposals as an intriguing opportunity to bring public humanities programming to new communities. Over the course of a year, six groups from Alabama rural communities met to discuss literature and their personal experiences of war. Reading the World War I memoir Scarlet Fields helped groups build trust and comfort with one another while discussing the distant events depicted in the book; later, reading two works on the Vietnam War—The Things They Carried and Dispatches—helped many Vietnam veterans share their experiences, some of them for the first time. 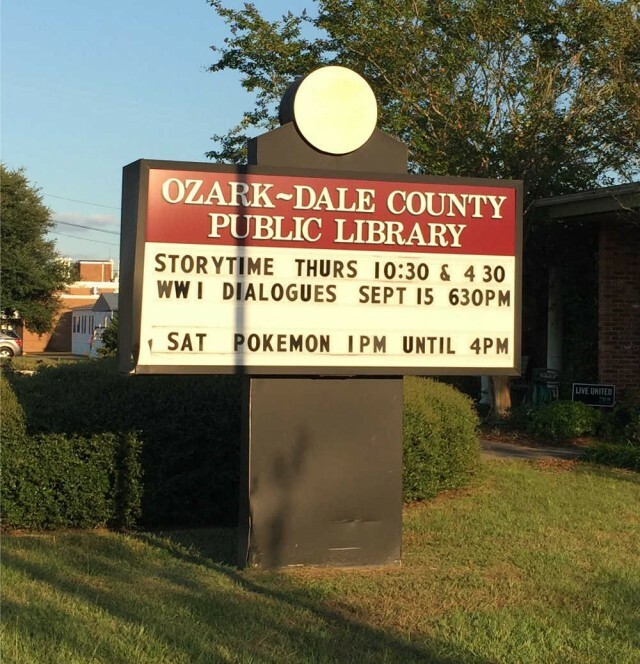 Dialogues on the Experience of War brought humanities conversations to veterans in six Alabama communities. Image courtesy of the Caroline Marshall Draughon Center for the Arts & Humanities. In addition to Valley and Ozark, the Dialogues on the Experience of War program took place in Wetumpka, Phenix City, Collinsville, and on the Auburn University campus. The program was extended into Fall 2017, with three groups continuing their discussions over World War II literature. The university is also piloting two Dialogue-themed courses through its campus lifelong learning program.